Time and time again, project managers get caught up with the notion that every conceivable task should be included in the development of the project WBS. 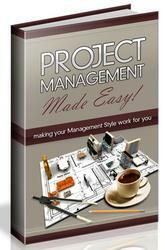 The end result is a big list of tasks that does not reflect what the project manager will be doing. Building a WBS for a major project can be time-consuming but well worth it. 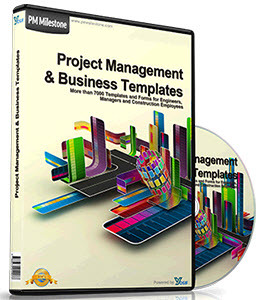 I have seen many project managers produce wonderful and complex WBS documents that leave their seniors admiring the detail and staggering results the document describes. Due to the complexity and type of integration that projects require today, project managers need to rely on the SMEs and technical specialists because there is no chance that the project manager will think of everything. Milestones are those physical elements that the project will deliver. The WBS should reflect the major project milestones as well as their associated target dates. Some of the possible deliverables a project manager should consider are project plans and important documentation (e.g., billing specification, user manuals) and physical products (e.g., hardware, modules, training, etc.). 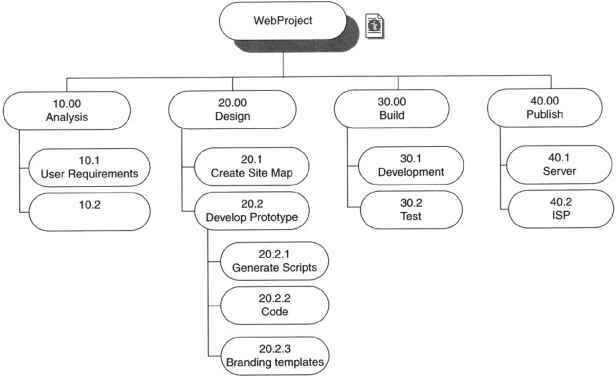 The WBS is a hierarchical grouping of project elements (similar to a family tree), starting with the higher levels and breaking these down into lower-level elements. The WBS can be viewed in either tabular linear format or in graphical format. The underlying rule of the WBS is to break the project down into small, manageable parts, whereby owners for each deliverable are established. Once this has been completed, the project manager estimates the cost for each task (see Figure 5.2). There are six commonly used steps used to build a WBS. Determine the high-level phases of the project. Separate these high-level phases into detailed work packages. Arrange the tasks in logical order or sequence. Estimate the task duration and the effort for each task. Review the WBS with all stakeholders. Incorporate any changes to the WBS and baseline the WBS. Often projects are established to develop a specific product (e.g., mobile phone). 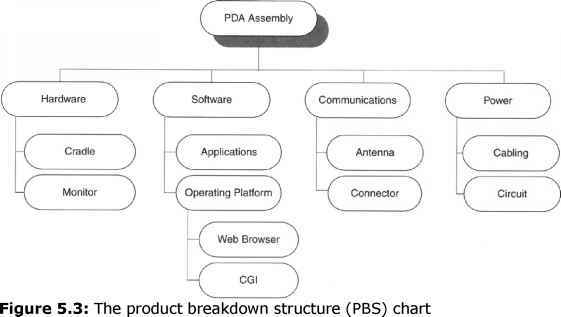 The technique used to identify and represent the physical and functional breakdown of a product is known as the product breakdown structure (PBS). Within the systems management world, it is known as the bill of materials (BOM). It is good to be able to develop a PBS for the product, as this will aid the project manager in identifying major deliverables for the project. Figure 5.3 is an example of a PBS.